Attorney Russell J. Manning is a resident of Bucks County, Pennsylvania and is licensed to practice law in Pennsylvania and New Jersey. Mr. Manning received his Juris Doctorate degree from Widener University Delaware Law School in 2006. Prior to that, he received his Bachelor of Arts degree in History from Holy Family University. Attorney Manning works in the area of family law handling custody, divorce and support matters as well as other related family law matters. Previously, Mr. Manning worked as the Assistant District Director to Pennsylvania State Senator Robert M. Tomlinson and clerked for the Honorable James M. McMaster on the Bucks County Court of Common Pleas. Mr. Manning has been practicing law since 2013, spending his entire career in Bucks County. 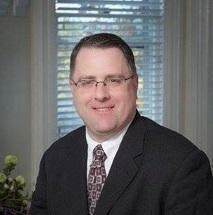 He is a member of the Bucks County Bar Association. Mr. Manning is active in his local community. He volunteers in local politics and is on the Board of Directors for Neshaminy Kids Club and is President of his local Homeowners Association. He is an active member of the Sons of Union Veterans of the Civil War and is a Past Camp Commander of Anna M. Ross Camp #1. His hobbies include reading, historical reenacting, and fencing. He is married with two children.